Compact crossovers have taken the American market by storm in epic proportions. Sales of sedans are declining, and sales of luxury crossovers from brands like Mercedes, Audi, Lexus, and the like have gone through the stratosphere. Cadillac’s best selling vehicle is the XT-5, the replacement for the SRX. Meanwhile, BMW started working this segment with the first X5 way back in the Bush Administration. Two Presidents and eighteen years later, we face the new X3, a car that I mocked often when it launched in 2004. Now in its third generation, I took the keys to this blue M Sport (as ridiculous as it sounds) and found it to be quite an eye-opener. BMW’s styling features have remained the same since the Reagan Administration, and that helps them. However, their stylists’ interpretation of said features have been quite variable. The new X3 needed to be right, and BMW almost nailed it. Too bad ‘almost’ doesn’t count in automotive styling. While the profile cuts very nicely, the front end loses focus. The twin kidney grilles are cartoonishly oversized, dominating the eye. 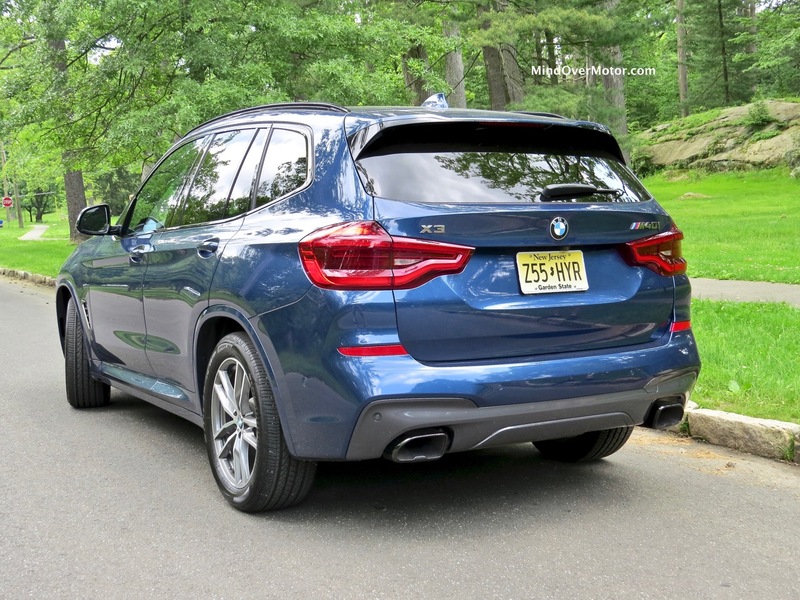 The rear is far better and fits right in line with BMW’s other crossovers. The rest of the details work very well in harmony, but still fail to take the eye away from the giant grille. The interior is a far more unison affair than the exterior. Lines are typical modern BMW, so everything looks logical and pointed. The cognac interior on our test vehicle was particularly of note–going beautifully with the extra cost blue paint. 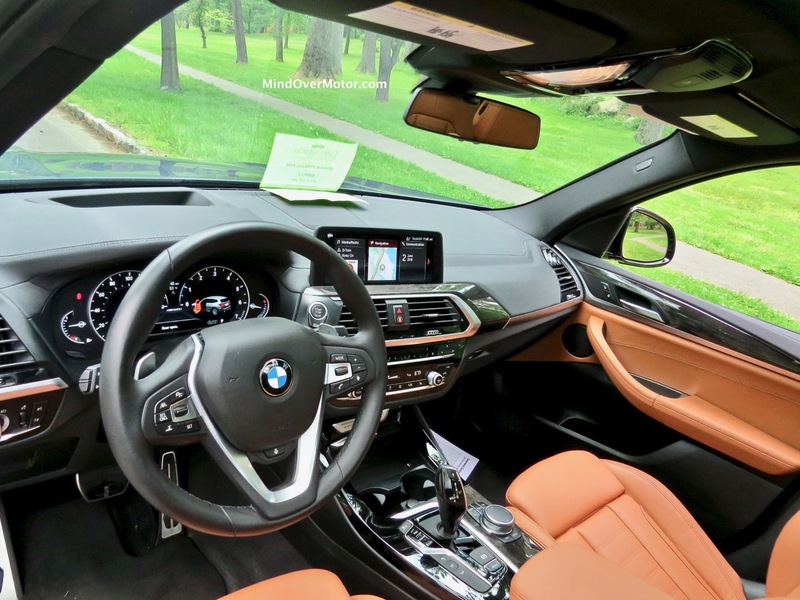 The ash wood trim, usually one of my least favorite choices for a BMW interior, felt at home in the theme as well. If it wasn’t for that pesky front end, this score could have been just a bit higher. Quality at BMW is an element that they take seriously to the point of ridicule. This X3, which was optioned as high as you could almost go, is no different. The panels used for the exterior are of a precision-grade caliber and the paint was perfect. 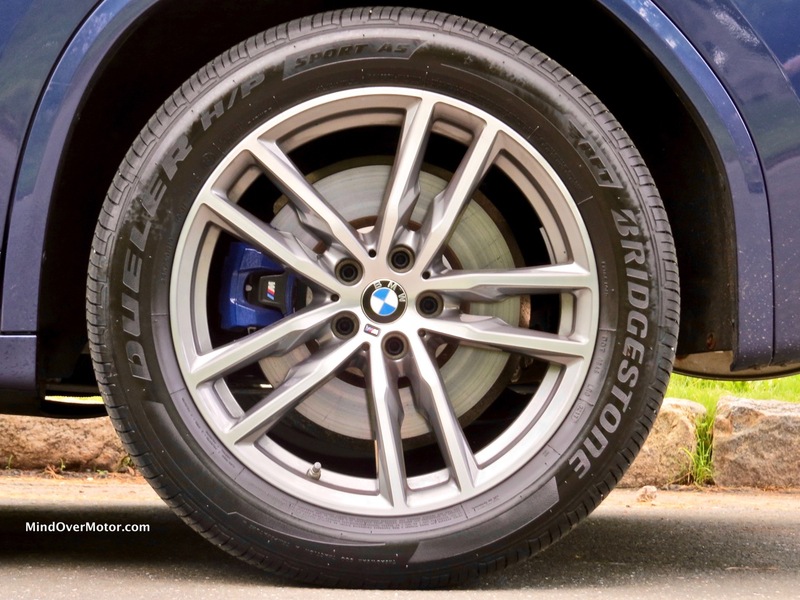 The rims on this model are the base 19″ M-Sport wheels, which impart a good profile and feature tires that won’t self-destruct on Jersey potholes. They are runflats too, a big help when you’re driving on Third World highways in a First World country. 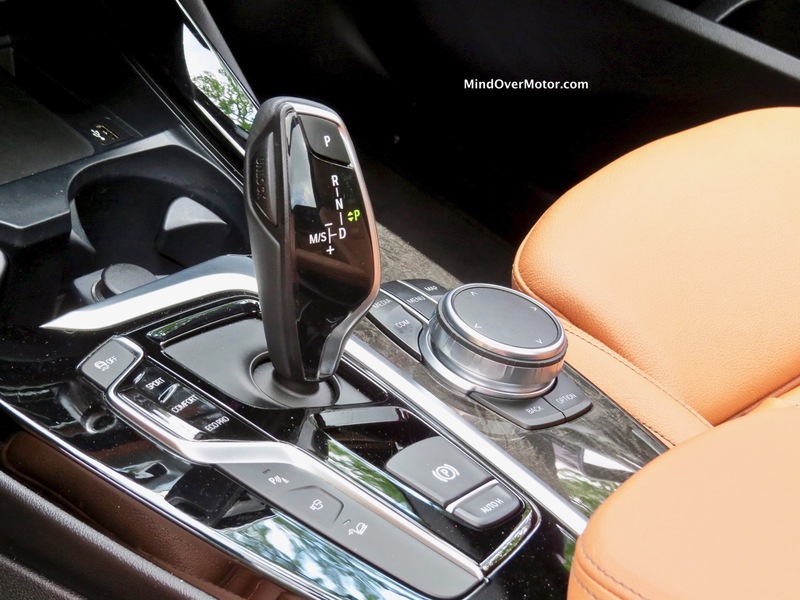 The layout of the interior is strictly logical as well, with the iDrive knob being increasingly easier to use, to the point of embarrassing Cadillac’s evil CUE system, the Lexus mousepad system, and even Audi’s MMI. The seats are well-positioned and sightlines are excellent. Even the rear seats in Nick’s driving position are reasonably spaced-out, so teenagers and adults should be fine on a short drive. The only major downside? Don’t eat in here, you’ll spoil more than your appetite. The finish and the screen don’t take well to fingerprints. BMW made its reputation on cars that would feel a bit normal around town, but come alive off the clock. Their cars were always fine for the commute, but when it was time to burn rubber and take the fun way home, they would turn into a true sporting car–a wolf in sheep’s clothing. 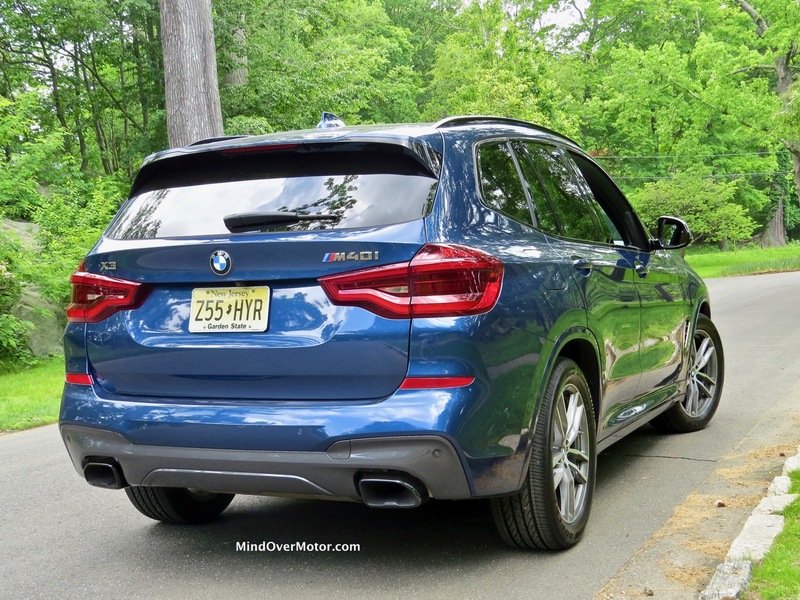 Somehow, despite the odds being stacked so far against it (higher center of gravity, higher curb weight, worse aerodynamics), the X3 M Sport does an admirable job for what it is. The 40i is powered by their turbocharged 3.0L I6, packing a formidible 355 horsepower. Acceleration is smooth in the Luxury mode but potent and punchy in Sport. The transmission responds in kind, rarely giving up a fuss. Ride quality in normal modes is supple and very easy to live with–but I fear with larger rims it will suffer as-normal. Handling is very strong for a crossover. Body lean is kept surprisingly in-check despite the height, and the suspension tuning feels sorted from the driver’s seat. 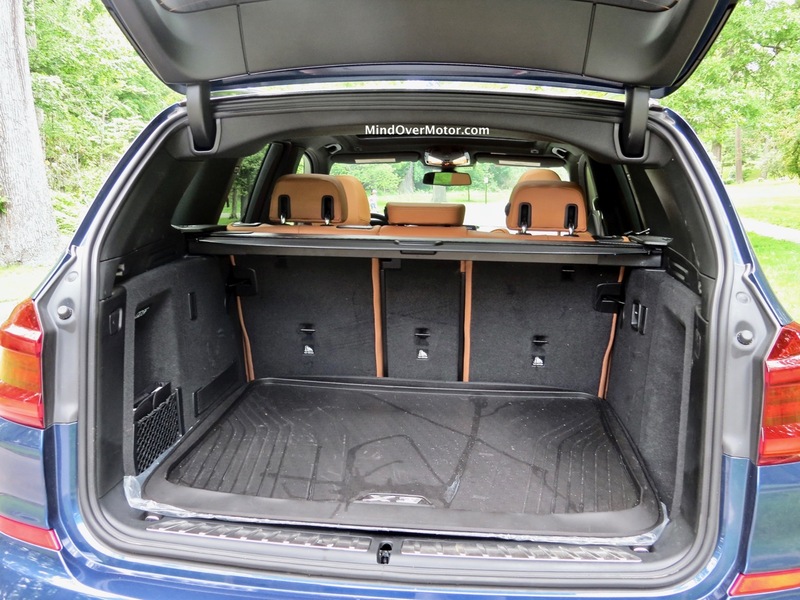 It won’t out-handle the class-best Alfa Romeo Stelvio and it doesn’t ride as well as the Lexus, but it is a great effort and the overall package hides the high driving position and staid roots. 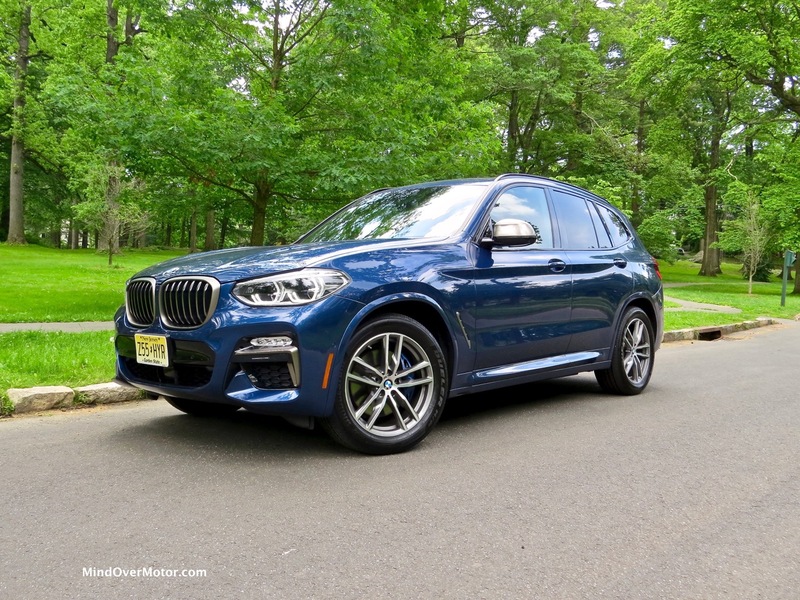 BMW has not been doing the best job with their normal sedans when driven hard, but it would appear that they still have their mojo with this SUV, despite it not being a true M car. Braking is strong, but not as strong as some of its competition. Overall, this is one luxury crossover that you might just steal the keys for when it’s time for a bit of fun on the back roads. The multi-mode settings are also tuned up very well. Once in Normal, the X3 is a completely normal luxury crossover. Put it in Sport+, and hold on to your hat. BMW spent a lot of money in the driving experience, and it finally pays off. BMW has sinned a few times with their crossovers. The sins of their other models (X6, looking right at you. X4, don’t go anywhere) aren’t relevant here. 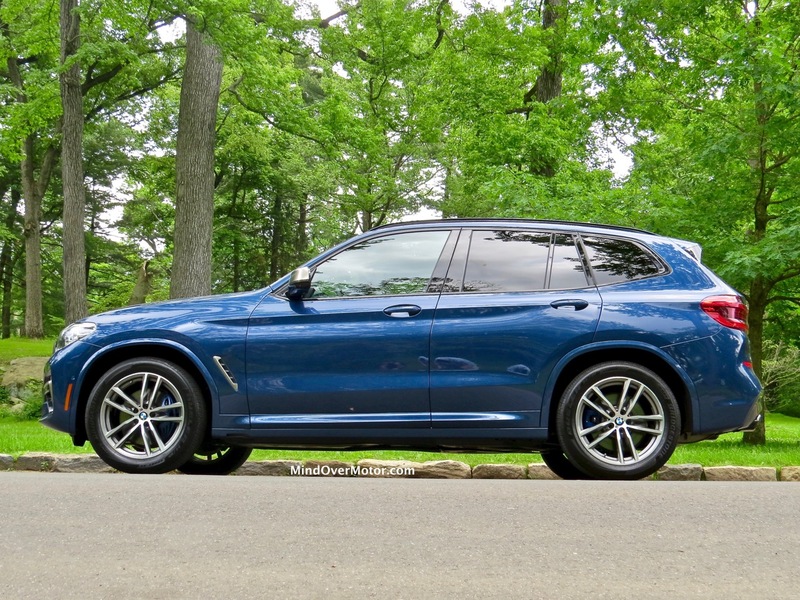 The X3, when it came out, was dowdy, badly made, and too rough-and-tumble to play in the same sandbox as other compact luxury SUVs. The tables have turned here. BMW has created a sports sedan wearing a fat suit and a very large rear end. Cargo space is strong, and I could easily see this being a great road-trip vehicle. Unfortunately, it has flaws. The X3 is not cheap in the least bit–this xDrive M40i stickers for over 55K and with the options on ours, the price rises to over 60. Even a fully-loaded four-cylinder one is over 55, and that’s quite a sum over the equivalent Alfa Romeo, which has more room, much nicer styling, and a more fulfilling driving experience. BMW has made the BMW of crossovers indeed–but something still feels missing. It needs a soul.